Double-stacked eyelet and heel panels. A few days back, the Nike Cortez sneaker surfaced with an exaggerated facelift. Now, another Swoosh classic will add the same layered update along with a striking selection of colors. The Air Force 1 Low includes an additional panel on the eyestays and heel tabs as seen on the aforementioned Cortez. The upper is dipped in a bold royal blue while teal complements the AF1’s upper on the sockliner in addition to the base of the eyestays and heel tab. Lastly, Nike Sportswear’s “Nike Air” insignias are added to the tongue and heel with the base sitting atop a white sole unit. The Nike Air Force 1 Low “Indigo Force” arrives in the coming weeks at select Nike Sportswear retailers and Nike.com for $100 USD. 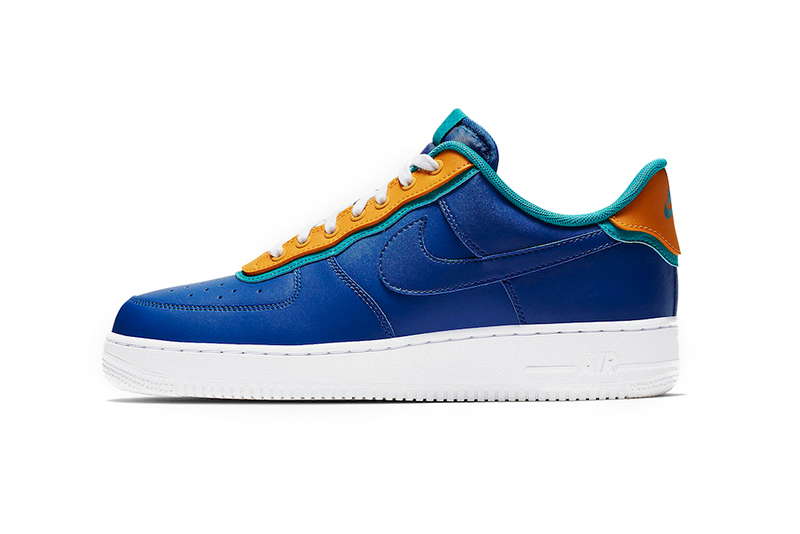 In other NSW news, you can take a look at Procell’s take on the AF1. From the LA Lakers to the Chicago Bulls and more.